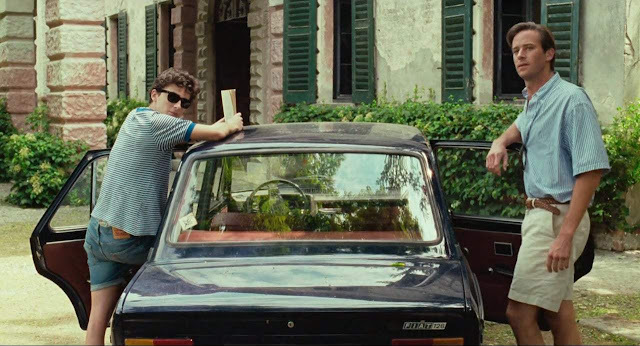 Where is the Call Me by Your Name house? You don't really come to the cinema to watch Call Me by Your Name, the sensory overload that it is. You come to vicariously live in the northern Italian province of Cremona, home to director Luca Guadagnino and a major shooting location for the award-winning movie. 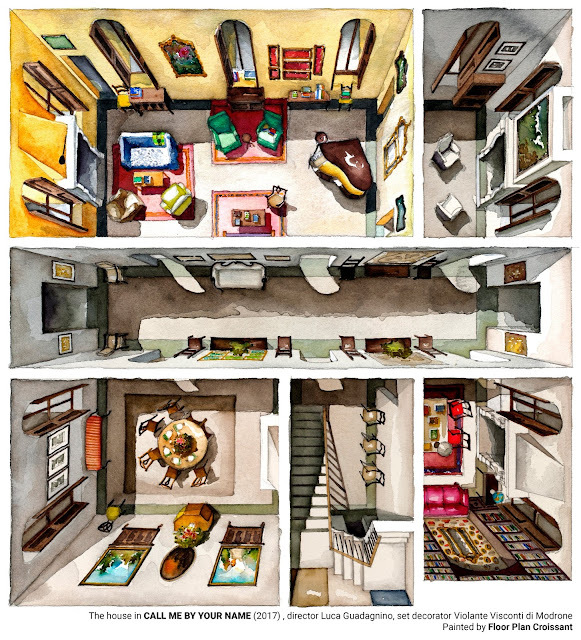 You are transported to the town of Moscazzano, where you will find Villa Albergoni, also known as the summer home of the Perlmans and their hot-blooded guest Oliver. Originally a fortress, the 17th-century villa boasts frescoed ceilings built by Raphael's pupil Aurelio Busso. A two-hectare private park surrounds the house: fertile ground for growing apricocks apricots and peaches. It's worth noting that the movie version of the house differs from that of the novel, which sets it on a cliff overlooking the Italian Riviera and beside the home of a little girl named Vimini. 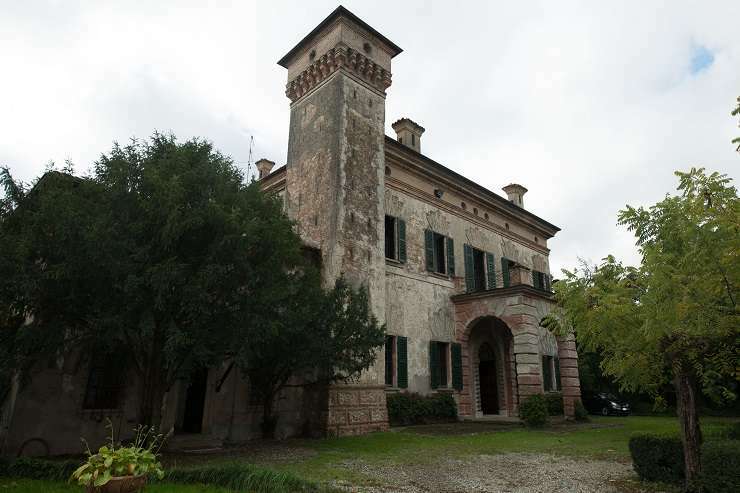 Villa Albergoni is very much a private property still. The Romanelli family, owners of the villa, do not grant access to the premises if you are not a serious home buyer. Unless you can put down an estimated €1.7 million for it, you can admire the house from a safe distance, a vision of Gideon, if you may. Nothing serves a big, fat, juicy slice of Americana like a diner. 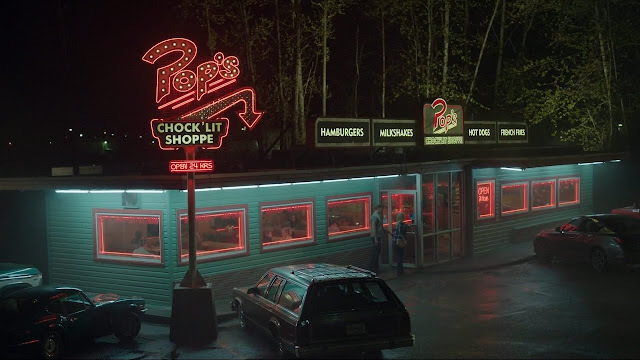 Combine that with another all-American icon like Archie Comics and you get Pop’s Chock’lit Shoppe, a fictional 24-hour diner with a pop cultural heft to rival that of Edward Hopper’s “Nighthawks”. Archie Andrews and gang’s favorite hangout is a key setting in Riverdale, scribe Roberto Aguirre-Sacasa's gritty TV adaptation of the almost 80-year-old comic books. 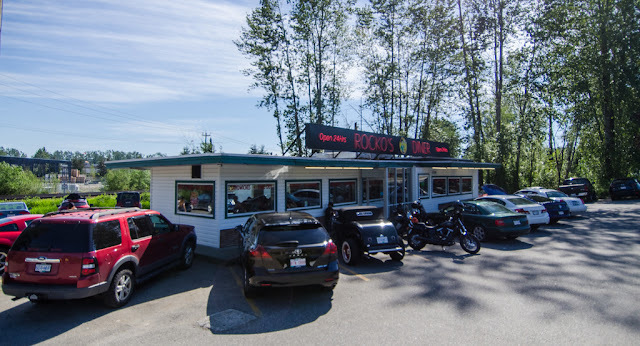 The pilot episode of The CW (and Netflix) series, which aired in 2017, had cast and crew decamp to Rocko’s Diner in the town of Mission, just an hour’s drive from Vancouver. Before Riverdale, Rocko's Diner had gained global recognition as a filming location for the Daniel Radcliffe vehicle Horns and the Harry Potter-inspired Percy Jackson and The Lightning Thief. Owner Debbi Schiller has rechristened her milkshakes after the characters because, well, they bring boys and girls to the yard. So the strawberry apple pie milkshake is now The Archie; the chocolate cherry cola variant is The Veronica; the banana, caramel, pecan flavour is The Betty; and the jolly rancher option is The Jughead. Famished Riverdale pilgrims can enjoy a load of eats at Rocko's, including The Jughead Burger which pays tribute to the notorious comic-book glutton. Rocko’s Diner is just near the US-Canada border, making it accessible to fans from Seattle and Portland. Since this is Canada, Rocko’s serves tasty poutine and, for tourists aged no younger than 19, boozier variants of the shakes. For two days in October 2017, Netflix ran several pop-up Pop’s diners across Canada. Rocko’s has not served as a filming location since the Riverdale pilot. 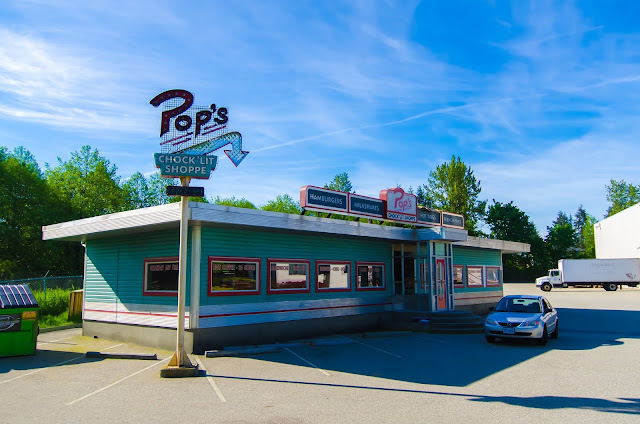 Pop’s Chock-lit Shoppe is now its own standalone set in a parking lot at 20233 100a Ave in the city of Langley, also in British Columbia.